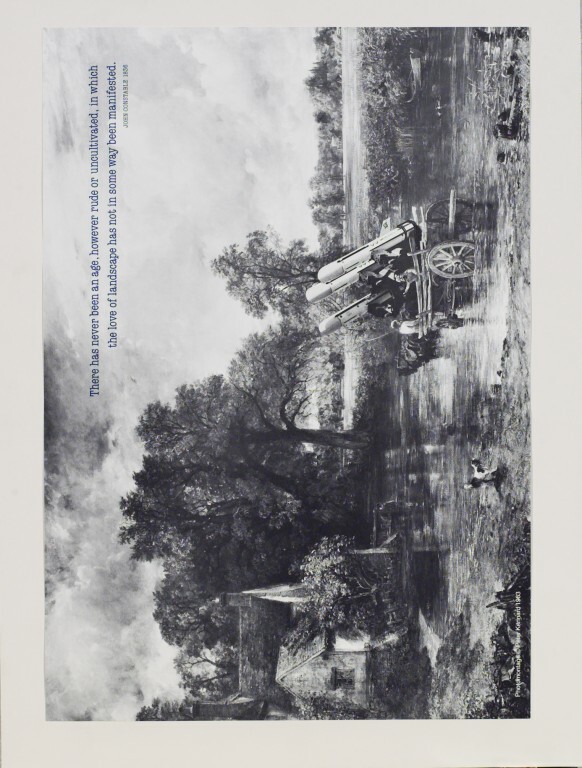 The impetus for this photomontage was the proposal to hone US nuclear cruise missiles in the East Anglian countryside. It was also a response to a Ministry of Defence leaflet, which portrayed the missiles in delicate watercolours as a harmonious part of the landscape. Here Peter Kennard combines two existing images to create a critical new meaning. 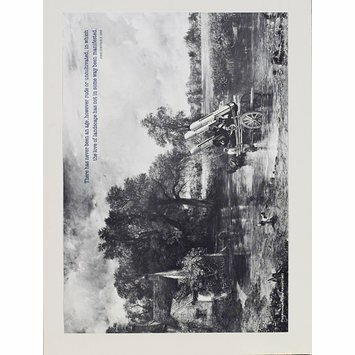 He takes John Constable's painting The Hay Wain (1821), an idyllic depiction of the East Anglian countryside, and superimposes thrree nuclear warheads on the hay wagon. The subversion of a familiar icon of pastoral England achieves a chilling effect. Pastoral riverbank scene of Suffolk featuring a small cottage on the left and a horse drawn wagon in the mill pond at Flatford in the centre. Three nuclear warheads have been added to the wagon's contents by photomontage.